Hello friends, To say this card changed direction a multitude of times would be an understatement. 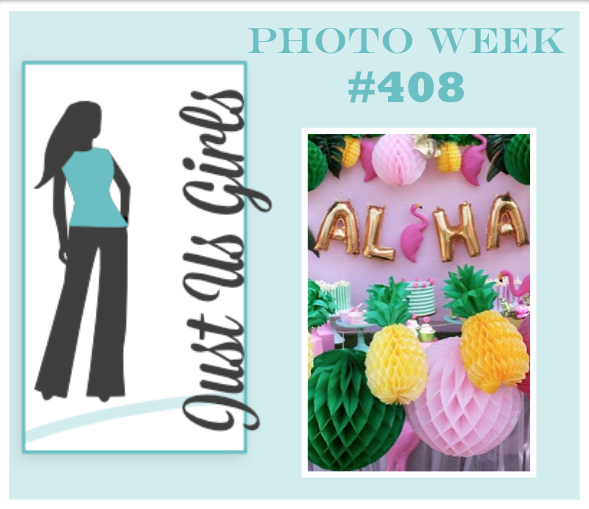 As I saw this photo challenge that Maria picked out for us, I thought what am I going to do?, I don’t have any Pineapples or Flamingos stamps or dies! Here is how it went down! I decided to make a pineapple out of weaved papers. (Hubby’s idea) I got out some pink papers and went to work. Then I looked at the finished work and thought, Why on earth am I weaving pink papers and not yellow? Not sure where my brain was then, I clearly needed more coffee. Back to the drawing board with my yellow papers. Then once the papers were weaved, I decided to draw and cut out the previous mentioned pineapple. Realizing when I was done it was far too large for my card stock, I decided to trim it, and trim it, and trim it some more… until there was nothing left to even resemble a pineapple. That mess got trashed quickly and then I came up with my second not so great idea. Why not make a pineapple out of a stencil. Well, a few pieces of card stock later, I had something I liked, but it needed a stem. So I took my Sun Ray stencil and tried to use the shortest rays to resemble a stem. Imagine my surprise, when that looked hideous. It looked just like a sun ray coming out of a pineapple. LOL That got recycled in the trash rather quickly too. I changed the direction of my card from Pineapples to Flamingos and decided it was time to cheat. I decided to make a few rows of black flamingos with just one Pink Flamingo on my computer. I did a test print on regular copy paper and it looked great! Finally, I was getting some where and I had something to work with! So I put it my card stock and hit print. What, where is my PINK flamingo? UGH! I am out of colored ink! I refused to give up at this point, and dismantled the card stock to see if I could salvage some to make it work. I did manage to retrieve one of the pineapple pieces you see in the background out of the trash Then after all that, I used my brain and decided to use my Cameo to cut out my Pink Flamingo. Now, I am scratching my head at this point wondering why I didn’t start there to begin with…and you are probably too. Let’s just blame the Hubster…for he is the one that started this entire weaving process to begin with! LOL So that is my saga on how this card that you see above came to be. Thanks for sticking with me in my crazy story. I know this is not a big deal in the grand scheme of life, but I hope it made you chuckle just a bit. The word Pink was made with my MFT die cut letters and the Leaf EF is SU. The sentiment is computer generated. 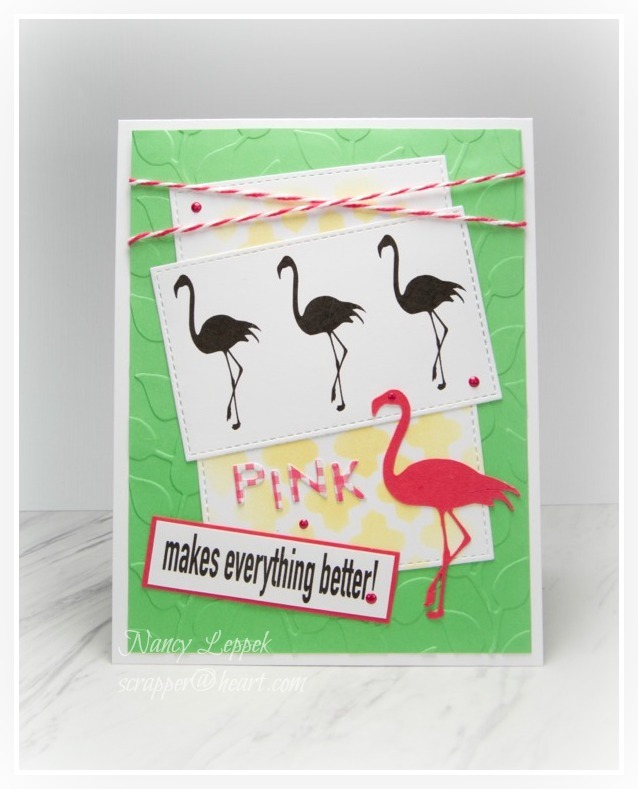 Categories: Cards | Tags: Card making, Cards, challenges, encouragement, flamingos, Inspiration, rubber stamps, Silhouette Cameo, Thinking of you | Permalink. As I mentioned on yesterday’s post I have some exciting news! My good friend Sue Morris @ Sue’s Sentiments was so gracious enough to tell me about a DT call over at CAS on Sundays ( love,this title). I am so giddy to say that we were both selected for the team! I am over the top thrilled, and to be teaming up with Sue makes it extra special! Someone pinch me please! I have been wanting to get on another design team for a while now and it finally paid off! Much thanks to Janneke @ Janneke’s Creations for giving me this opportunity and believing in me! Go check out her blog and see how talented she truly is! 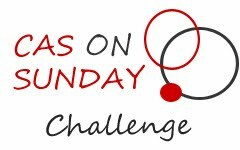 This is a brand new Clean and Simple challenge based website and CAS is something I am really starting to enjoy! Our first challenge will be Feb 3rd….so please mark your calendars and join the new team and I. So friends, don’t give up on your dreams! They do come true ! Categories: Other | Tags: challenges, rubber stamps, stamping | Permalink. I don’t know about you, but I am looking forward to the fall this year! It’s my favorite time of the year! It’s been really hot and humid here in Florida and I’m ready for a change. Well, you didn’t come by to here me talk about the weather now did you? Today’s card however does have a fall theme. 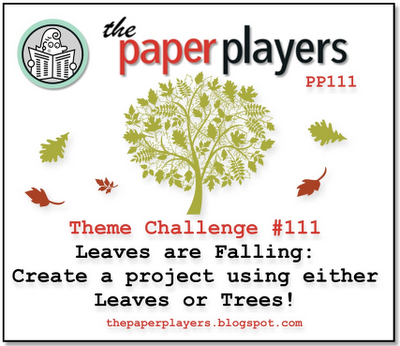 I played along with the challenge over at The Paper Players to use either Leaves or Trees in your creation. I am barely getting this one in under the wire! Whew!!! I am not thrilled with my coloring now that It’s already on it’s way to a relative. I noticed some light areas on the leaves. 😦 Oh well… C’est la vie! Cardstock is SU, I used prism colored pencils for coloring, sentiment was from a Garage Sale…sorry! Some gems, black dots for added interest with a marker, a ribbon and there you have it! Thanks so much for stopping by… I love all the traffic I have been getting lately! 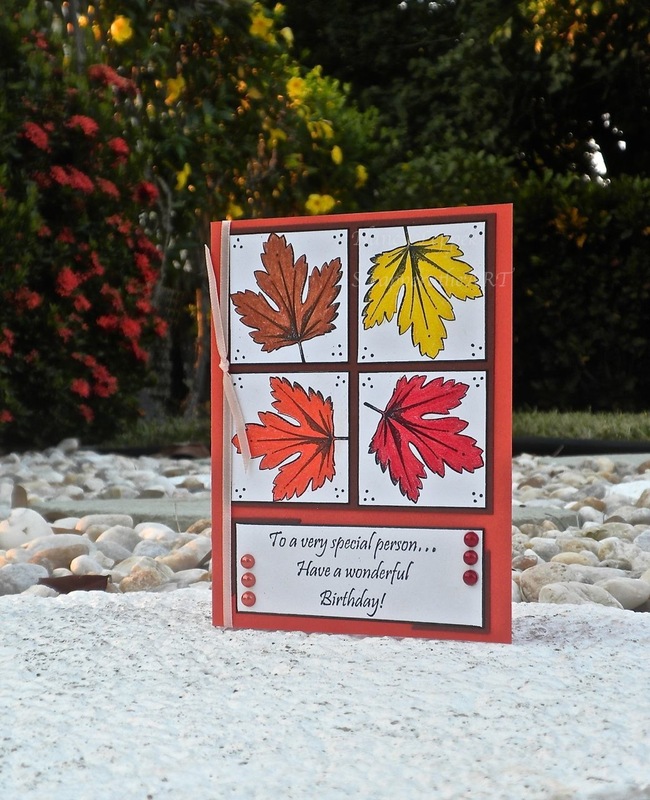 Categories: cardmaking, Cards | Tags: Card making, Cards, challenges, colored pencils, Happy Birthday, rubber stamps, stamping, Verve Stamps | Permalink. Wanted you to see a photo of the tag that fits in the front! Well here we have another 3 day weekend ( Woo Ho0) and it ‘s also time for some College Football…got my Noles flag up and ready to go! The card I have for you today is for four all together different challenges…the first is for a challenge over at the Pink Elephant. It’s a great challenge for me because I am always in need for more thinking of you cards. You have a choice between Thinking of you or Sympathy, I chose thinking of you cause it’s more versatile. Okay, the second challenge is for a new site that I came across the other evening. It’s called 365 cards and they have a different challenge every single day of the year! The challenge for Thursday was to pick two: Paisley, Polka Dots, Gingham, Houndstooth, or Toile. I picked Polka Dots and Paisley because of my gorgeous DP and my Dots made with my cuttllebug. The third challenge. This unique challenge is over at Case Study and they have asked us to CASE ourselves. So take a card that you have made in the past and make it better or change it. Well, that was a Great Idea…the card I decided to change that I really, really disliked you can find here. I really made a big improvement, but kept some of the original ideas the same….flowers, center panel,textures, and such. The final challenge was from OWH and the have a celebration going on over there and they have lots of different challenges to check out. They have asked us to create a card to include either a Scripture verse, or an uplifting quote or sentiment. Okay I think that covers all of them! I can’t thank you enough for stopping in, it makes my day! Categories: Cards, challenges | Tags: Card making, Cards, challenges, cuttlebug, OWH, rubber stamps, stamping, Thinking of you | Permalink. 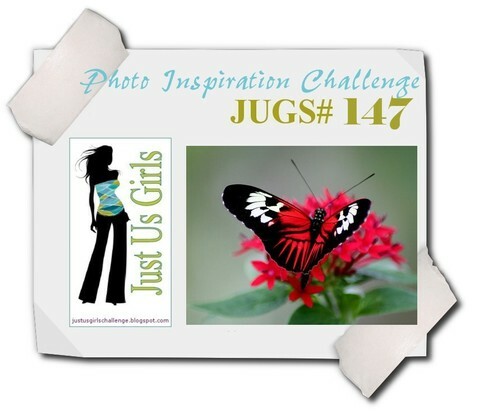 The challenge photo over at JUGS is of a beautiful Butterfly and that’s what I have for you today! 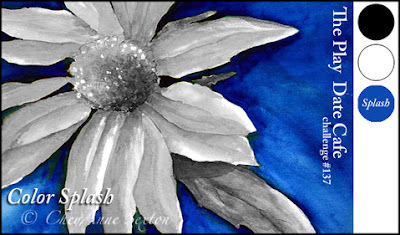 I have for you a real simple card that I am very happy with ( I don’t get to say that to often). 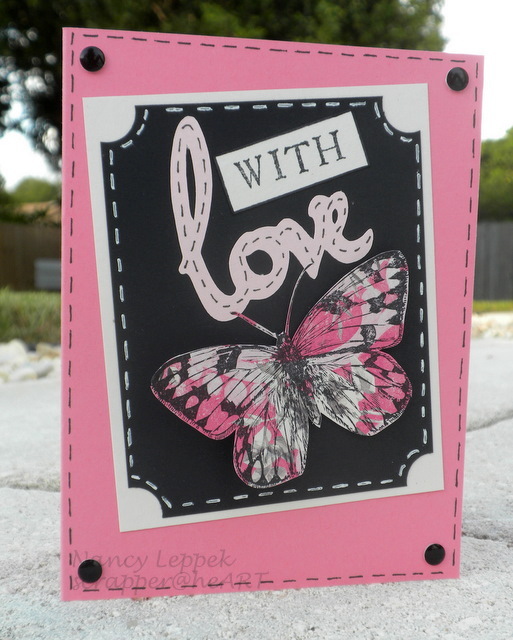 The stamped image is from Stamp TV and it’s called Take Flight “love” was cut with my Cricut and the word “with” was made with individual letter stamps that I have had for years, that work really well in a pinch! Thanks so much for your visits and the comments are sooooo appreciated! HUGS! Categories: Cards, challenges | Tags: Butterflies, Card making, Cards, challenges, Cricut, encouragement, rubber stamps, Stamp TV, Thinking of you | Permalink. 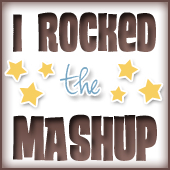 Thanks again to The Friday Mashup Team, I so appreciate it! 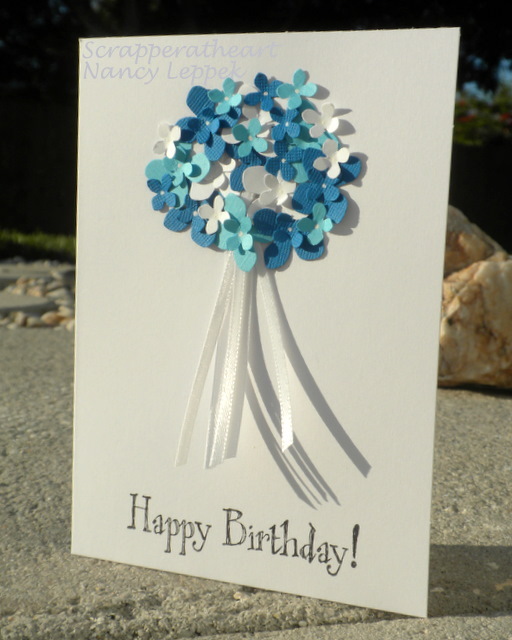 Categories: Cards | Tags: Card making, challenges, Happy Birthday, rubber stamps, winner | Permalink. 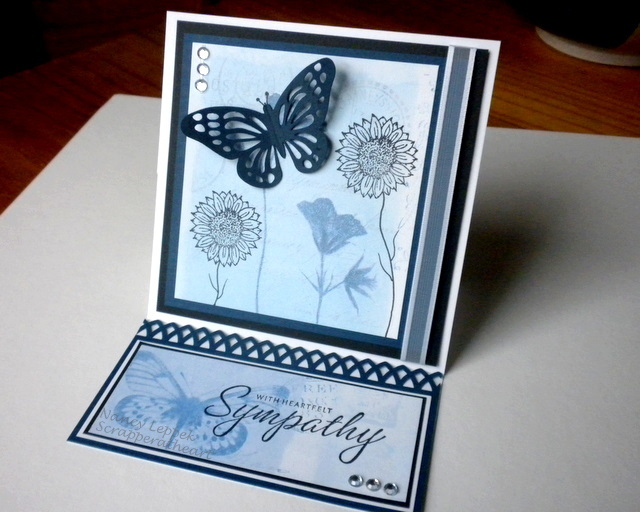 Hello Stampers, I tend to stay in my comfort zone when it comes to making cards, but luckily when the challenge over at Stamp TV to make an Easel card was posted, I didn’t run. LOL It is really not difficult at all and I wish I had tried to do this years ago! Better late than never so they say! The DP is one of my favorites that I was always afraid to use cause I like it so much. Do you do that? I also wanted to tie in some more black so I added a few stamped sunflower images. That stamp is from Gina K designs at Stamp TV. The sentiment is from Stampin Up and I use it all the time! If you want the dimensions and instructions to make an easel card you can click here! You can also You Tube it! This card also fits the color challenge at the Play Date Cafe that I used in yesterday’s post as well. Thanks for stopping by, I just love when you do! 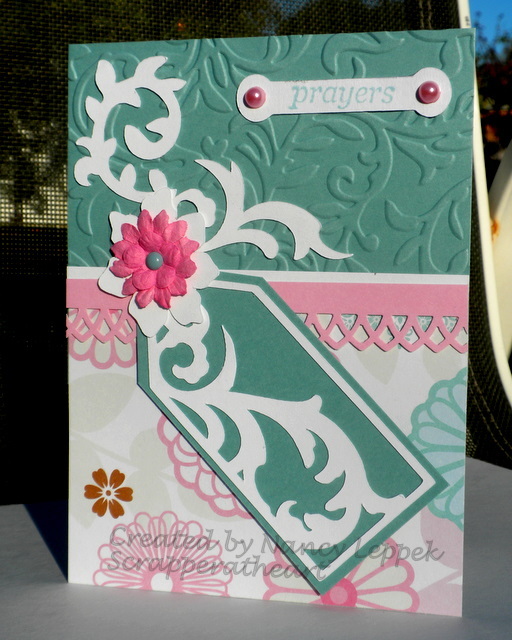 Categories: Cards, challenges | Tags: Card making, Cards, challenges, color challenge, easel card, rubber stamps, Stamp TV Challenge, stamping, Stamping Up, Sympathy card | Permalink. 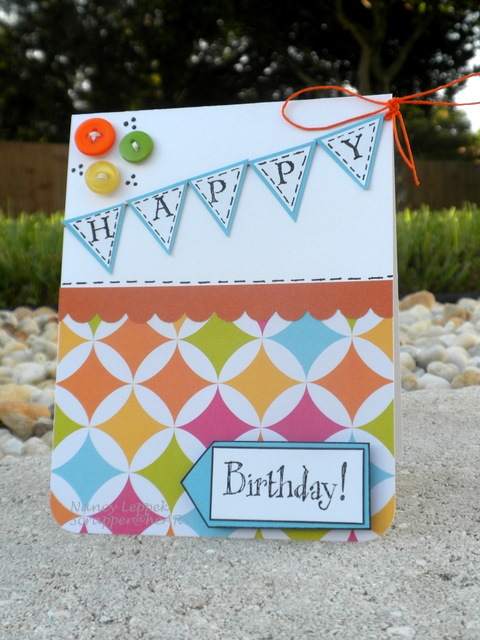 I have a real simple card today using one of my favorite MS punches, as I have stated before I can’t stop using it! Unfortunately, I can’t take credit for the bouquet idea (it’s brilliant), I saw it on Pinterest, but I am pretty happy with the outcome. I made this card for 2 different challenges. The 1st one is for a color challenge at CR84FN, and the 2nd one is for Casual Fridays Challenge to use punches. If you have never visited either of these sites, I encourage you to do so….they are both GREAT and always intrigue me! Categories: Cards, challenges | Tags: Card making, Cards, challenges, Happy Birthday, punches, rubber stamps, stamping | Permalink. Hope everyone had a fantastic Mother’s Day. I had one of the best Mother’s Day that I can remember! It didn’t involve expensive gifts or going out to dinner, but instead we did everything together as a family…….ie: making breakfast as a family, shopping, Starbucks, Ice Cream and then my son and I made dinner together. We laughed and talked and just enjoyed each other’s company. I am truly blessed. Ok, onto the real reason you are here. Graduation time is here and my son has a few cards he is needing for his friends. So this card is for the Challenge over at Stamp TV to make a card using a charm of some kind. Well that was something I have never done, so I jumped on board! It is really little and hope you can find it on the card. LOL The young man we are giving it to plans to go into music in college and was the Junior Drum Major with Tyler in Band so I felt a musical note was appropriate. 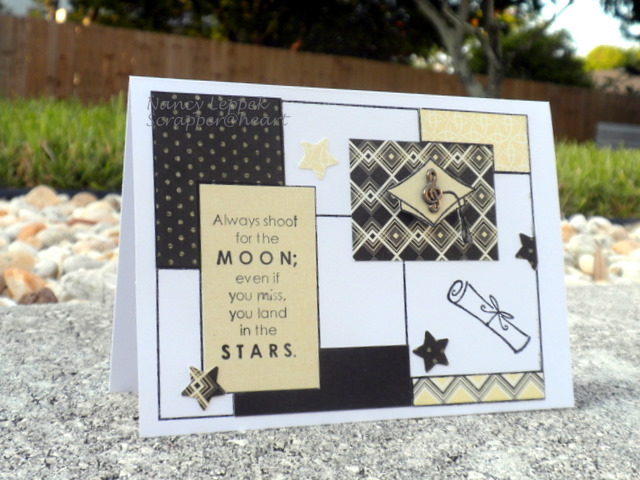 The background Stamp is also from Stamp Tv and is called Inspiration Mosaic and I have used it quite a lot, it is so versatile. Categories: Cards, challenges | Tags: Card making, Cards, challenges, graduation, graduation time, rubber stamps, Stamp TV, stamping | Permalink. 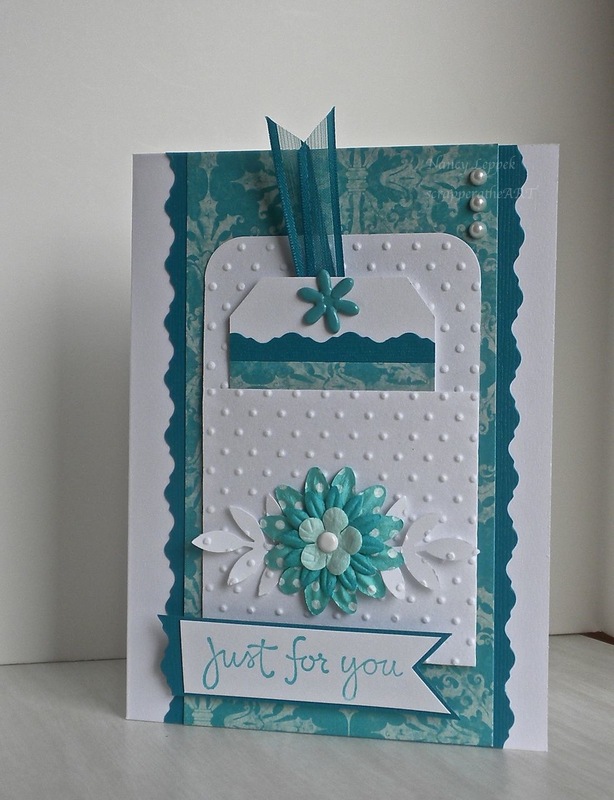 Hi fellow stampers, The challenge over at the Paper Players is to make a Spring card. Well, since we never really had a winter this year and the trees are in bloom…it appears that Spring has Sprung here in Florida! (my allergies can attest to that) Please if you have time go check out the designers over at The Paper Players and get your Spring ON! You’ll be glad you did! Categories: Cards, challenges | Tags: Card making, Cards, challenges, encouragement, rubber stamps, stamping | Permalink.